Tijuana is breaking with old stereotypes. One sign? A vibrant classical music scene, with roots in Russia, and an orchestra filled with kids from the city’s poorest neighborhoods. One sign that Tijuana is breaking with old border-city stereotypes is its vibrant classical music scene. It has roots in Russia, of all places, and an orchestra of kids from the city’s slums. 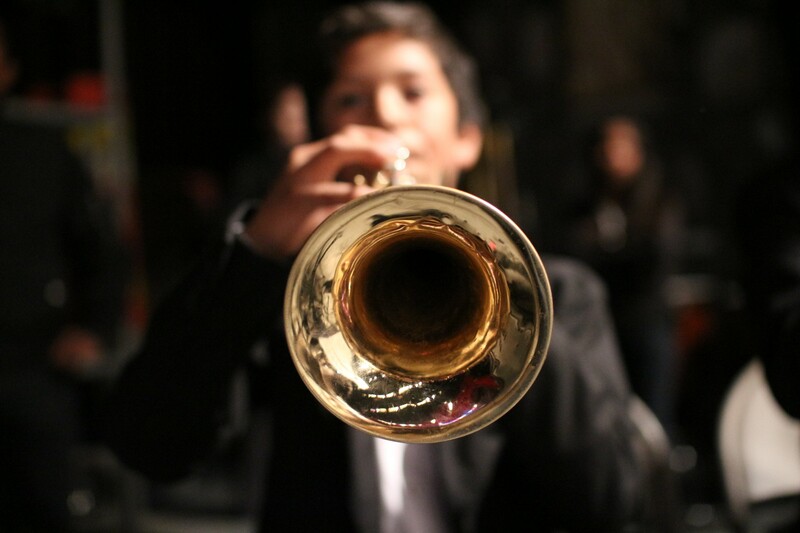 More than 125 kids, ages 9 to 18 are in the orchestra playing Tchaikovsky’s Slavonic March and many in the orchestra come from the Mariano Matamoros district, which has also been home to some of the city’s most notorious drug traffickers. A generation ago, the only music made in Tijuana was mariachi or norteño, played for tourists in strip clubs or bullfights. But as Tijuana’s violence has calmed, the Mariano Matamoros has done the same. Eduardo García Barrios, conductor of the adult Baja California Orchestra, also directs REDES (Spanish for Networks) 2025 a program to train young people to become professional musicians and music teachers. “Music has this power. To play music you need discipline, to understand your body. It’s 120 kids doing one thing at the same time,” he says.